Call this beautiful Coal Harbour unit your new home. Walk to Cardero's for an afternoon aperitif before walking to English Bay for a sunset seaside dinner. 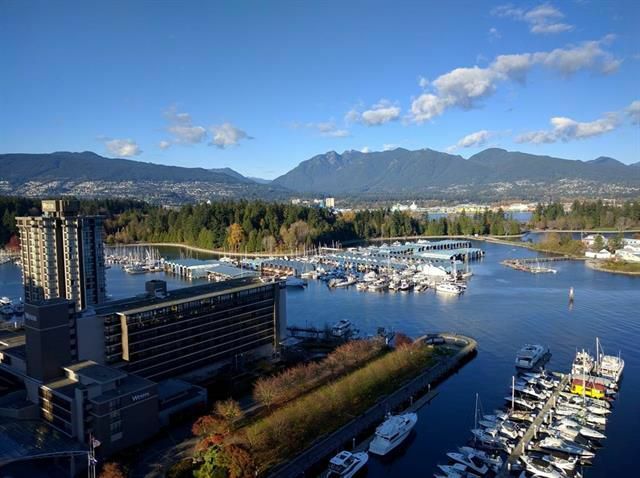 This NW-facing unit offers stunning forever water and mountain views that bring out the best of Coal Harbour living. Den can be used as a third bedroom as it has its own closet. The prestigious Bauhinia and Avila development offers some of the best amenities among the Coal Harbour condos, with 24 hour concierge service, 2 squash courts, an oversized heated indoor swimming pool with hot tub, and a world class gym, among other facilities. Comes with 2 parking spots and 1 underground storage locker.